Collectively we would like to see this proposal forwarded for consideration by Congress as a viable, well thought-out social-economic support system, and certainly, an option for our young people. ISOJI surmises the lack of technical and vocational tracks in high school and the 30 to 40% students not wanting to/or cannot attend college puts many students at a disadvantage in transitioning into the workforce. Add to that, the evidences that says 75 to 80% of high-schoolers leave the learning environment with low self-esteem, which means low resiliency skills and reduced motivation, which leaves them unsure about self and the future, and indeed, in need of an environment where they feel useful and have the time to acquire a sense of discipline that helps them sort out their life’s path. Without question, the compelling arguments, from our point of view, lies in the large numbers unemployed and underemployed and the 35 to 40 % of students NOT wanting or UNABLE to attend college or an advanced technical-vocational training institution. We see the general disposition, unrest, and the higher levels of negative self-worth and low personal efficacy reflected in societal conditions that too often manifests itself in criminal inclinations – and we know how hard it is for young people to overcome what happens to them when they become enwrapped in a discriminatory criminal justice system. A number of groups such as Peace Corp, Cross Cultural Solutions, United Planet Abroad, AmeriCorps, National Association of Community Health Centers, The Corp Network, City Year, The Red Cross, State Conservation Corps and multiple non-profits and other charitable works often lack the type of centrality or direct volunteer arm needed to address America’s systemic need to structure healthy and productive youth-to-adult pathways. Your office can look at this proposal as a complementary necessity to, without question, the need to build a national infrastructure nationally that serves a myriad of social-economic needs. 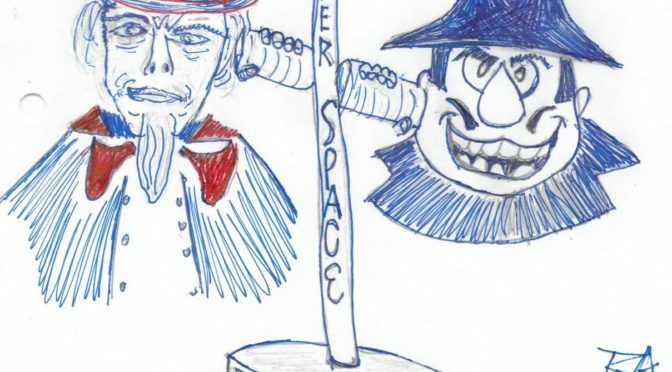 This AWSCNS program could present a national image for addressing youth, many of whom seem to occupy a social vacuum rife with drugs, violent media, social disconnectedness, separated from the health and welfare attributes that our nation has promised. For all these reasons, ISOJI and the Multi-Disciplinary Team and our CITT “Collective Impact” Community Equity Building Team, endorses fully, this proposal. In closing, as a former Air Force intelligence manager let me add another reason this AWSCNS program should be implemented. Whereas the military use to be a haven, an option for growing into a healthy manhood, the military and/or war environment too often today does not provide that route. Service as depicted in this proposed bill offers a healthy route, while providing human resources to our overwhelmed non-profits and presenting to the public a government that looks and acts effective, outreaching, and caring. Early in 2005 People’s Lobby (PLI )initiated the American World Service Corps National Service Congressional Proposal (AWSCNS) . It is neither a direct nor indirect initiative with which People’s Lobby has had past successes. Build a one million strong all volunteer peaceful national service corps by inspiring more to serve in already existing do-good organizations such as Peace Corps, AmeriCorps, Habitat, Doctors Without Borders, Head Start, Red Cross, International Rescue Committee, Oxfam, Mercy Corps, State Conservation Corps, FINCA, TechnoServe, Fuller Center for Housing, Amnesty International, Greenpeace, U.N. Refugee Agency, American Friends Service Committee, as well as in local non-profits, schools, homes for aged, physical therapy wards, penal institutions, etc. Involve rich and poor, young and old , red necks and blue noses in service to the nation and world that will dramatically raise national and international civic actions and IQs. The American World Service Corps Congressional Proposal neither establishes a big new bureaucracy nor is expensive. It is not merely shorthand for a bigger Peace Corps, although it will make the Peace Corp much bigger than it has ever been. It is envisioned as a small administrative office that does some marketing, disseminates paychecks to its full time volunteers, and takes care of their tuition and other post service grants and gratuities. It is a moniker, a name tag that allows us to model what should be the new 21st century army that we and other nations should be sending out into the world. If one makes such service meaningful, it can be as or more valuable than most college educations. Its primary raison d’etre is to send many more volunteers to rub shoulders and do good through the already existing and effective do-good organizations such as those mentioned above. These organizations know what to do with additional full time human resources. This AWSC Umbrella heightens the effectiveness of these groups by enlarging them at a time when complexities and needs are growing. As the Greatest Generation passes, we need to involve the push-button, play-game generation as well as the more mature in active service, which builds the nation’s character and prepares us to better handle the real world. 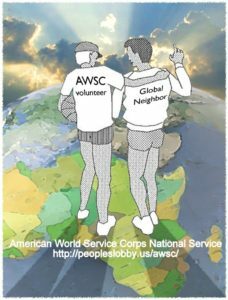 The American World Service Corps National Service (AWSCNS) Congressional Proposal would field a robust, peaceful, productive, paid volunteer army of American do-gooders who would choose to serve at home or abroad. It would reduce conflicts, address needs, and make life easier for our military and healthier for our citizens. It is NOT another program or large bureaucracy. It is merely an umbrella, a moniker that feeds more volunteers into proven existing do-good organizations and non-profits. In addition to the traditional revenue streams listed in the AWSCNS proposal that would fund this investment in our people and world, we have added nontraditional, voluntary, revenue streams that could fund this entire generation-long National Service Program without taxing Americans. The Gates & Buffett Giving Pledge has helped PLI’s long effort to establish a publically displayed Socially Conscious Giving Spreadsheet whose fund are escrowed to only be spent on AWSC volunteers who serve. Click though to view the Forbes .0006% Powerpoint. John Kennedy told former Senator Harris Wofford that he wanted the Peace Corps to reach 100,000 a year because, “It would then be considered serious. In one decade, it would reach 1 million volunteers.” In the last 54+ years, only about 220,000 PCVs have trained and served, meaning perhaps 180,000+ have completed service. For more than a generation, we have failed to come close to implementing a vision that would cost effectively and dramatically reduce poverty, ignorance, hatred, and terrorist recruitment. We missed the opportunity to dramatically increase our public policy IQ, understand the dynamics of the Global Village and its economies, and reduce the hatred fired at our troops, and care for and understand environmental needs. We are leaving big problems to the next generation. We owe them a big, but cost effective, AWSCNS solution. Think of your favorite local non-profits. Could they accomplish more good if they had one or a few full time volunteers aged from a fresh 18 to an experienced 70+? Could they enrich your community and raise its public policy IQ? PLI’s AWSCNS Proposal urges that other nations emulate similar national service programs. Imagine what could happen if the nations of the world built robust national service programs that rivaled the size of it militaries. Imagine if People’s Lobby’s successful efforts in 1989 to have Congresswoman Boxer introduce HR1807, the US-Soviet Peace Corps, had grown over the years. Imagine how much safer and saner today’s world would be. In July of 2016, PLI discussed with Senator Boxer’s staff the possibility of reintroducing an updated HR 1807 . Give her a call and express your support before she leaves office . If you would like to read 60+OpEds detailing benefits of an AWSC, click OEN OpEds. For some videos, click videos. For one of several 30 minute overviews at the videos link, try this Mel Presents. If able and willing, press your candidates or respected celebrities to help move this AWSC solution. Thanks. Today we have tooo many who pontificate about what should be done to address foreign and domestic needs who have little or no grassroots experience with those problems. A robust AWSC National Service program smartens our and other nations in how to more cost effectively and peacefully address domestic and world problems. Uber-rich <2% solution for world peace Will super-rich step up? Embeded chart reflecting how the Forbes 400 alone, using one of the AWSC Congressional Proposal’s non-traditional funding mechanisms could easily fund this wise AWSCNS investment. May you and yours have good health well beyond this Holiday Season. She recently beat back a cancer scare, as she continues being the trooper pushing her walker and tipping the army of taxicab drivers (sorry Uber) that shuttle her to University of San Francisco lectures, medical checkups, and meetings with her friends in town. For me, there may not be a Habitat build on this year’s list thanks to bone on bone right shoulder and a rotator cuff tear, which I always thought belonged to those Moby-ized pitchers who flung hard from the starboard.. Most of you who are reading this have been exposed to Christian traditions, especially during this Holiday Season. 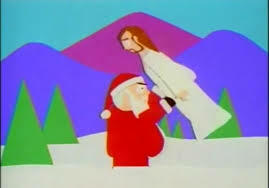 You know that Jesus was raised by an adopted father, Joseph, a ”Teckton,” or builder. 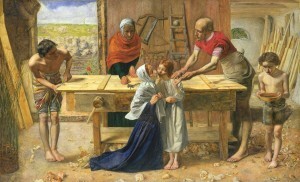 Joseph was a stonemason, carpenter, or likely combination of the two. He built stuff, likely housing, perhaps so future families would not have to be born in mangers. When Jesus Christ was born about 2,000 years ago, about 300 million roamed the earth. According to the Bible, the Lord ARMED a sandal wearing gang of 12 with not only the words of brotherhood but supposedly the power to perform miracles. They were sent out to spread peace and build things that would make life more comfortable for innocent babies and children, in the hopes that they would grow up with innocence and goodwill. Jesus did not build an army of soldiers and drones. He didn’t encourage the Roman Empire to expand its war making abilities. He pushed people to do unto others as they would have done unto themselves. 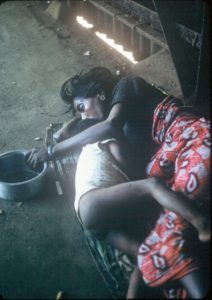 Today there are about seven billion people, who, in many ways are ravaging the earth. Shouldn’t America, the Roman Empire of its time, field an army of one million sandaled Americans to spread peace and build healthy things for the innocents? It cost us over $1 million per active military volunteer per year to be engaged in battles, without calculating PTSD related costs. Instead of building a new, big bureaucracy, the AWSC Congressionnal Proposal would send A LOT more paid volunteers to Peace Corps, AmeriCorps, Habitat, Doctors Without Borders, Head Start, Red Cross, International Rescue Committee, Oxfam, Mercy Corps, State Conservation Corps, effective local non-profits, in-need schools, hospital therapy centers, homes for the aged, etc. Fielding a million Americans a year under this AWSC umbrella would cost about $40,000 per year. It’s a gift to the world that keeps giving all year long. It cultivates compassion, raises our public policy IQ, responds to devastations, helps refugees, wins hearts and minds, and thereby stunts terrorist recruitment. 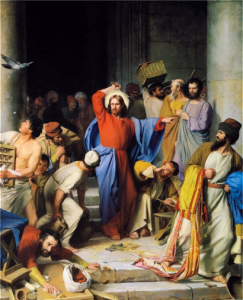 One of the few times Jesus expressed anger was at the money changers in the Temple. Under the AWSC Proposal The Forbes 400 could fund the fielding of 21,000,000 doing good, paid American volunteers for 27 years by donating 1.1% of their wealth to the cause of protecting innocents. What would Jesus say? Would you support such voluntary funding by America’s uber-rich? Want to help make the AWSC Proposal become law, spreading gifts and little miracles all year long? Pester Congress. Spread the word via media. Use any of People’s Lobby’s Opeds that express something akin to your feelings and put them out in social media, forward them to Congress and candidates. Ask candidates where they stand. Want to fund a People’s Lobby’s (PLI) intern, who could help with spreading the word? 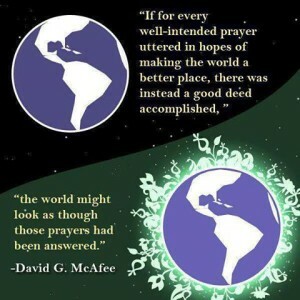 Prayers accepted, but we are pretty sure God, as busy as he is, is pushing us humans to do more than kneeling to deliver some good amidst the myriad of problems clanging around down here. Neither Santa nor Jesus delivers what the world needs without a lot more of us being involved. “God weeps,” the pope concluded, “Jesus weeps,” for those whose sole purpose on this planet is to wage war, but who cynically deny that that’s their intent. May you and yours have peace and good health. Change.org will forward a note to your Congressperson. People’s Lobby is asking all presidential candidates whether they support the AWSC Proposal, (http://new.dwaynehunn.biz/awsc-congressional-proposal/ ), which places a million Americans a year into peaceful National Service for at least a generation, not by building a new bureaucracy, but through serving in already existing organizations such as: Peace Corps, AmeriCorps, Habitat, Doctors Without Borders, Head Start, Red Cross, International Rescue Committee, Oxfam, Mercy Corps, State Conservation Corps, effective local non-profits, in-need schools, homes for the elderly, therapy wards in hospitals, etc. Thoughtful responses will include answers to the following questions. Do you believe that? Such peaceful service will increase opportunities domestically & reduce tensions internationally? More than .4% of Americans (active military) should serve? Peaceful, healthy change in many needy areas requires generations to develop & therefore endorse the generation long robust national service “sunset clause” in the AWSC Proposal? The good accomplished by investing $40K/year in each AWSC volunteer would in time reduce the $400K attributed to each of our active military and/or the $1 million+ cost for each of our battlefield soldiers? Both traditional & nontraditional funding mechanisms (in the Proposal) should be used to field 21,000,000 National Service Americans over the ensuing 27 years. Would the world’s people and its environment be better off today if since the 1961 inception of the Peace Corps (a form of voluntary national service) 20 million had served by now (2015) rather than 200,000? Thanks for providing your stance on the American World Service Corps Congressiona Proposal. Interviewed by Freedoms Forum’s Bob Aucone. Portion of the video tape from November 2006 in Washington D. C.
In asking about “national service,” Freedoms Forum asks Four Star General Zinni about the volunteer national service proposal “coming out of the 6th CD,” Peoples Lobby’s citizen-initiated American World Service Corps (AWSC) Congressional Proposals. Aucone: “Freedoms Forum is following a citizen-initiated proposal that is coming out of the 6th (Congressional) District in California, which is where we’re from. It is a proposal for voluntary national service that the government would pass legislation to incentiviize people joining, ah, this national service. 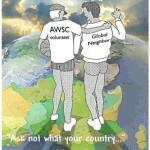 Either serving in the Peace Corps or Red Cross or Doctors without Borders, Habitat for Humanity. All of these organization that you call non-governmental organizations, NGOs. General Zinni: “Well, I think a national volunteer program would be fantastic. When I teach my college course, I see so many students that want to put something back, what to do something for the world. I think a national volunteer program should have everything in it. It should include the option of military service. It should include the option of other governmental service, serving internships with our state department or maybe the USA AID, which provides assistance out there, the Office of Foreign Disaster Assistance and with non-governmental organizations, where there can be placement and recognition for time spent there. To me, all those provide service not only internationally but domestically. I could see where this sort of volunteerism would have been effective for Hurricane Katrina, or elsewhere. So we could have international and domestic. I would like to see our government capture all the options, build the program, “and then put it in out high schools and colleges as an option. So on career day you can look at these steps and these options and this would be explained as to where you feel you can best serve. “Some people feel best that they can serve in uniform. Others in doing some sort of humanitarian work. 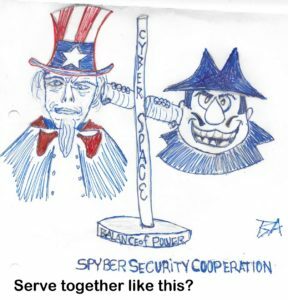 Others in maybe working in government to help better create institutions, like rule of law institutions, or working with others in the area of diplomacy, or in other things that can support our effort. “So I would like to see a broad based program that allows for all this. “In terms of partnership, when you talk military and NGOs, you have to be a little careful, because many NGOS cannot be seen to be too closely tied to military. They have to maintain their neutrality. The basis for their support may be faith based, or based on a principle like the Red Cross of neutrality or non-violence, and they could lose their credibility or effectiveness. So it’s not that they object to the military or what they do in any way, our military particularly. It’s that they have to retain that. So you have to build that partnership very carefully. “When we were in Somalia, we had some organizations that could not be seen as associating directly with us. They appreciated the fact that we were trying to create a secure environment to allow them to operate. But if it looked like they were working with the military, they may alienate certain elements of the society they were trying to help or make enemies. So we had to do the coordination and cooperation on an information-sharing basis but not be seen as essentially cooperation. That could be managed. That can be done. And not be seen as some sort of cooperation. ”When the military gets in the humanitarian business, sometimes it competes with them. And sometimes we may not be the experts. They know things about local diet. They know things about constructing local markets that can stand on their own. When the military comes in and tries to influence that it may not be the right course. We’re not expert in that. So they should have the lead. The military should stick primarily, other than emergency relief, to providing that secure environment that allows them to work. Thanks for taking the time to contact our campaign. Coleen generally supports an expansion of national service very much in line with AWSC’s platform. She also shares the reasons for doing so. In particular, she supports encouraging our citizenry to participate in programs like Peace Corps, AmeriCorps, Habitat for Humanity, Head Start, Doctors Without Borders, Red Cross, International Rescue Committee, and State Conservation Corps. Raising America’s political IQ is in truly a win-win scenario. To that end, if elected, I am confident Coleen will take a particular interest in AWSC’s platform.